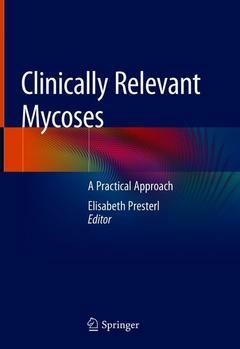 This book describes an evidence-based, practical approach to diagnosis and treatment of the fungal infections most frequently encountered in a general hospital. The opening section provides an easy-to-understand overview of the basic medical and scientific background of fungal infections. Epidemiology, pathogenesis, clinical presentation, diagnostics, and treatment are then carefully explained and discussed for a variety of clinical syndromes, including those associated with Candida, Aspergillus, Cryptococcus, and Pneumocystis spp., Mucoraceae, dermatophytes, and rare fungi. Readers will gain a clear perception of common management challenges and the best way to respond to them, including in specific patient groups such as children and the immunocompromised. In addition to providing an excellent tool for decision-making on clinical management, the book offers a sound basis for the framing of further research questions and studies in the field. It will be an invaluable companion for doctors, students of medicine and pharmacology, nurses, and other health care professionals. Introduction.- I. General.- What is the target? Clinical mycology and diagnostics.- Immune system and pathogenesis.- Antifungal agents.- II. Clinical disease.- Clinical syndromes - Candida and candidosis.- Clinical syndromes – Aspergillus.- Clinical syndromes: Mucormycosis.- Clinical syndromes:Cryptococcosis.- Clinical syndromes: Rare fungi.- Clinical syndromes – Pneumocystis.- Clinical Relevant Mycoses Dermatomycoses.- III. Special issues.- Infection control to reduce invasive fungal infections.- Paediatric Invasive Fungal infections.- Special issue: Fungal infection in patients with organ transplantation.- Mycotoxins and human disease. Elisabeth Presterl, MD, MBA, DTMH (London), is Professor for Hygiene and Clinical Microbiology and Head of the Department of Infection Control and Hospital Epidemiology at the Medical University of Vienna, Austria. Her further specializations are in internal medicine and in infectious diseases and tropical medicine. Invasive fungal infections have been a clinical focus and research topic for Dr. Presterl for more than 20 years, and her work in this field has included clinical studies on new antifungal agents, diagnostics, and epidemiology. She performs many functions in national and international associations. She is a reviewer for a number of scientific journals in the field of infectious diseases, clinical microbiology, and infection control and is the author of numerous publications in peer-reviewed journals.